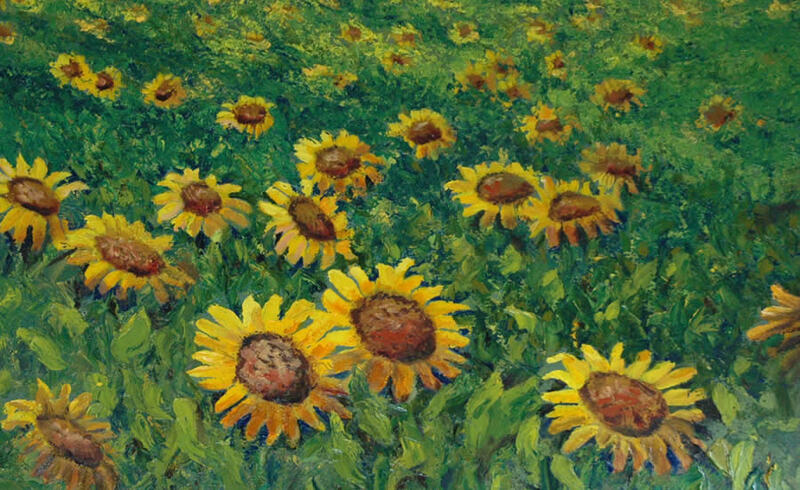 Describe this Piece: Sunflowers is a 24″ x 36″ Oil on board. This piece shows excellent color compliment and contrast along with perspective and design. It was chosen by the CityArtCal calendar project to be included in the listing of 100 best artist of the Dallas/Fort Worth area. Very neat and very lovely work Anita…!